There is no one memorial in Cork to the c. 4,200 casualties from Cork City and County. ‘There should be’ says Bishop Paul Colton, the Church of Ireland Bishop, ‘but there isn’t.’ On Sunday afternoon, 11th November, however, all the names will be presented at the existing Church of Ireland diocesan memorial in St Fin Barre’s Cathedral, Cork. To mark this centenary I wanted to come up with a tangible way of recognising and remembering all Cork people who fought and died regardless of their religion or of whether they were religious or not. They gave their lives. Their families suffered. There is no division in suffering. Now, one hundred years on, and especially as we are on the threshold of commemorating the foundation of this State, an important symbol of what we have become here in Cork would be the putting in place of that one memorial. For today, however, my idea will have to do – it centres on First World War telegrams! Sitting in the cinema in Mahon Point one evening- a film about the war – it occured to the Bishop how awful it was when the telegram messenger boy walked or cycled up to your house with bad news. Bishop Colton arranged for 4,200 blank facsimile First World War telegrams to be printed. 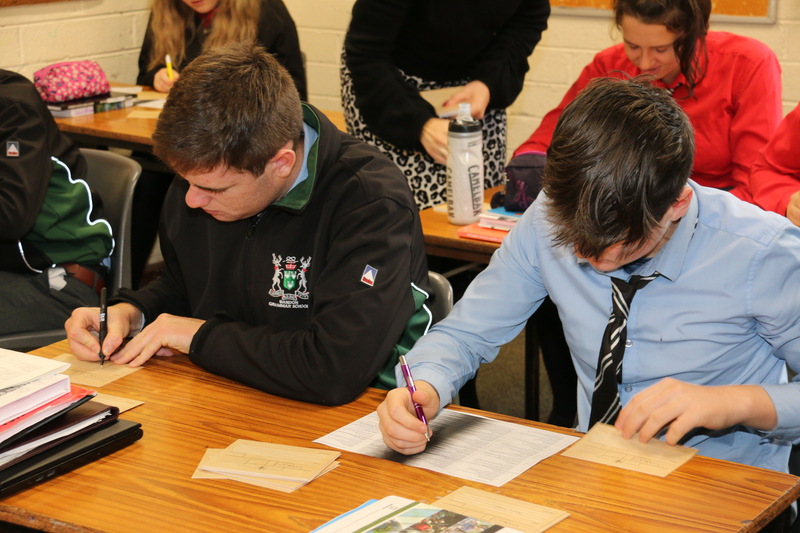 He recruited the help of all the students of Ashton School, Bandon Grammar School and Midleton College – three schools in the Diocese – to write one of the names of one of those Cork casualties on each. The telegrams will be brought to St Fin Barre’s Cathedral by the students of all three schools on Sunday afternoon at the special Service at 3.30 p.m. and poured out at the foot of the war memorial there. ‘Regardless of who they were, these Cork people will be reunited today in our remembering to mark this centenary’, said Bishop Colton. 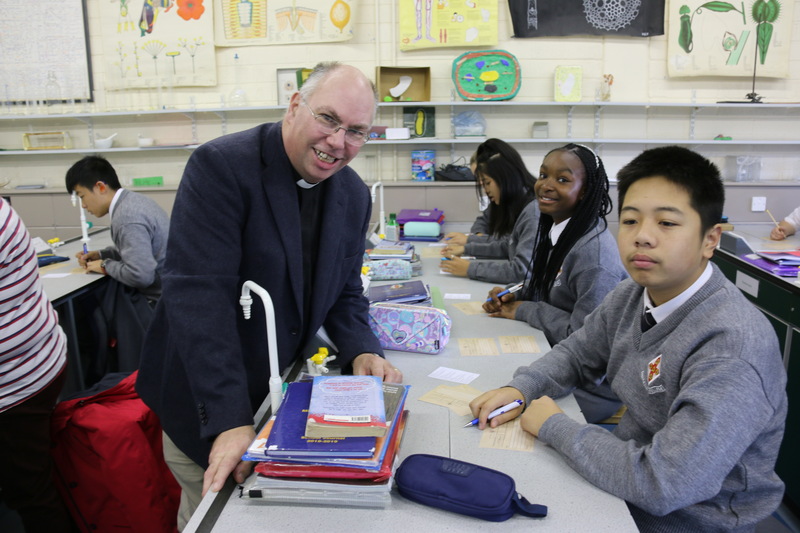 Bishop Paul Colton with students from Ashton School who wrote telegrams as part of the commemorative events to mark the centenary of Armistice Day. 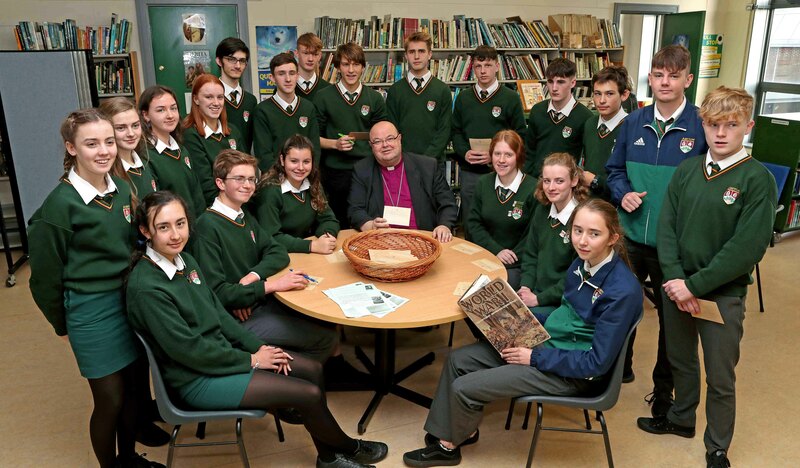 This entry was posted in Anniversaries, Ashton School, Bandon Grammar School, Cathedral, Centenaries in Ireland, Centenary, Church in Society, Church Services, Community Involvement, Contemporary Issues, Diocese, Education, Midleton College, Remembrance, Remembrance Sunday, Schools in the Diocese. Bookmark the permalink.